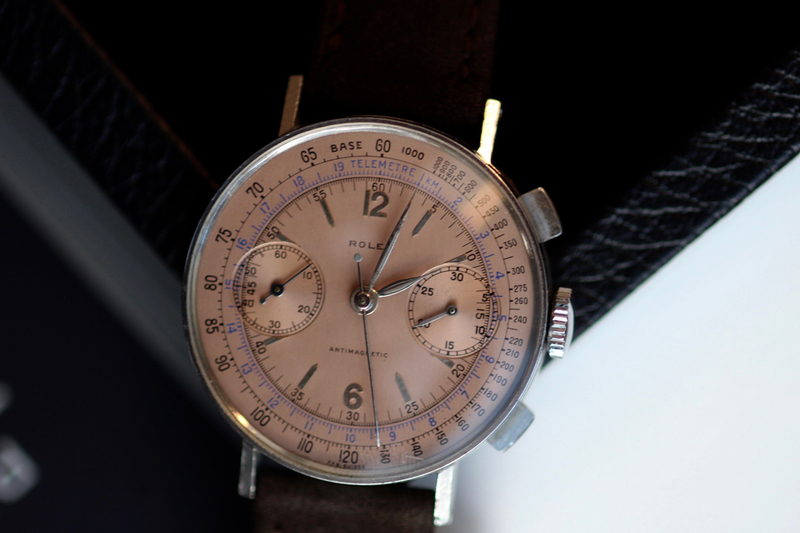 “Four” sounds too much like the word for “death” in Chinese, so I doubt this auction will incur much action from collectors in Beijing or Hong Kong, but it’s my lucky number, so I’m feeling good about this one: Phillips’ “The Geneva Watch Auction: Four” takes place on 12 and 13 November 2016, and it is over-ripe with mind-boggling treasures. I’m expecting record-breakers galore. Revolution was afforded a sneak preview at Phillips’ London showroom, and — though Editor Llewellyn and I were clearly overwhelmed — we managed to regain our senses long enough to have Paul Maudsley, International Specialist Director of the London Watches Department, help us choose a few highlights. As this house is now one of the most discriminating, and has quickly wrenched the top position from all of its rivals, nary a pup could be found among the 196 lots. Inevitably, there are enough of these in contemporary auctions to start to bore old hands; one expert told me the sheer numbers of Paul Newmans produced undermine any notion of “rarity value” as a determinant for value, as much as they exemplify the simple rules of supply-and-demand. 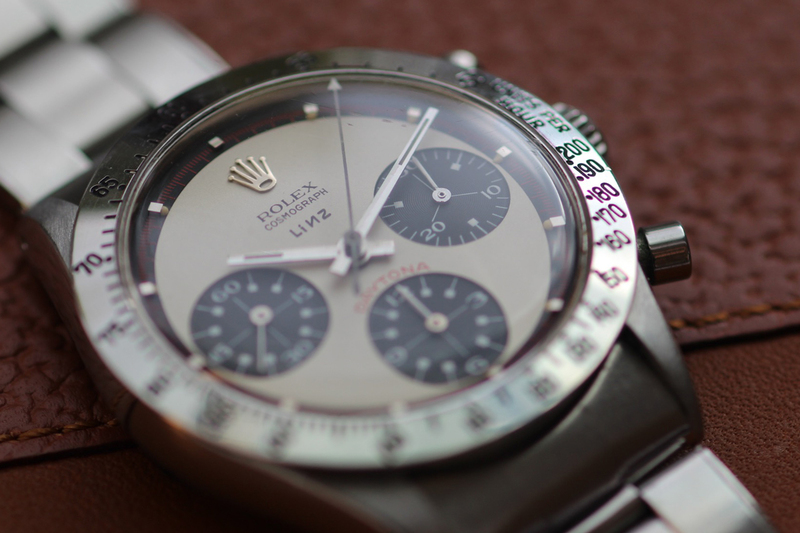 This beauty, however, is in superb condition, boasts the “Panda” colour scheme and bears the name “Tiffany” on the dial. 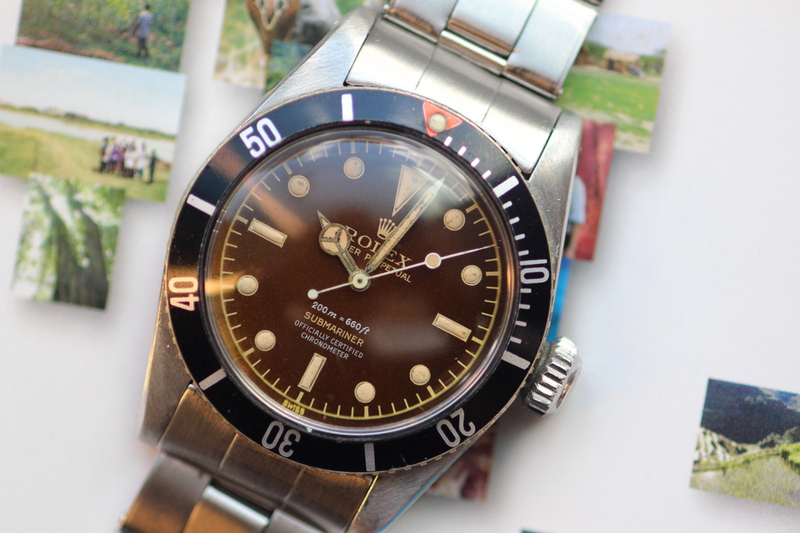 To a normal person, this is merely a circa-1959 Submariner. To the cognoscenti, it hovers above the rest because of assorted distinguishing features, most obvious being the “tropical” dial, e.g. one that has aged to a dark chocolate colour. But this cake is iced with the lack of crown guards, thus qualifying it for “James Bond” status, while the dial features four lines of information. It is therefore revered among collectors as one of the most important 6538s known to exist. Aaah … a Patek Philippe triple calendar from 1943, yet in a wearable 35mm case, on a sublime Gay Frères bracelet, one of only 281 produced. Out of the watch’s 14-year production run, only four were made in – yes, you guessed it – stainless steel, and this is the first one of the quartet to appear in auction. 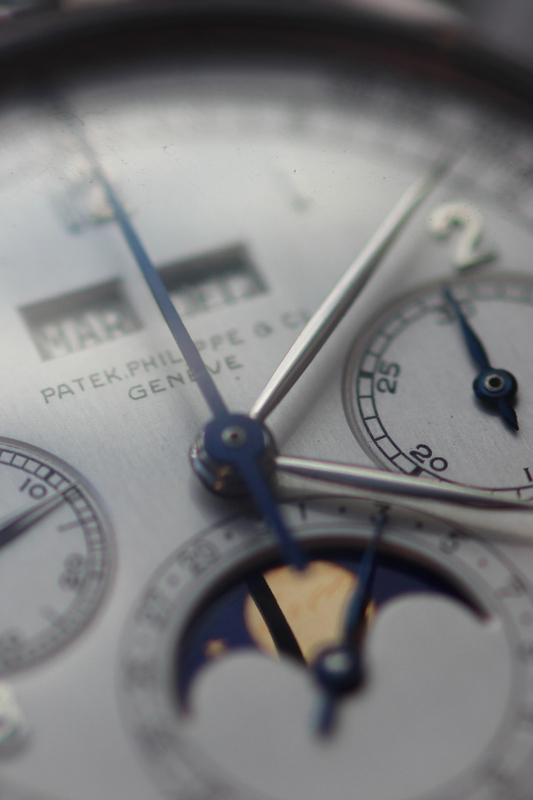 Here the rarity value is paramount, such that it elevates stainless steel to levels above precious metals. 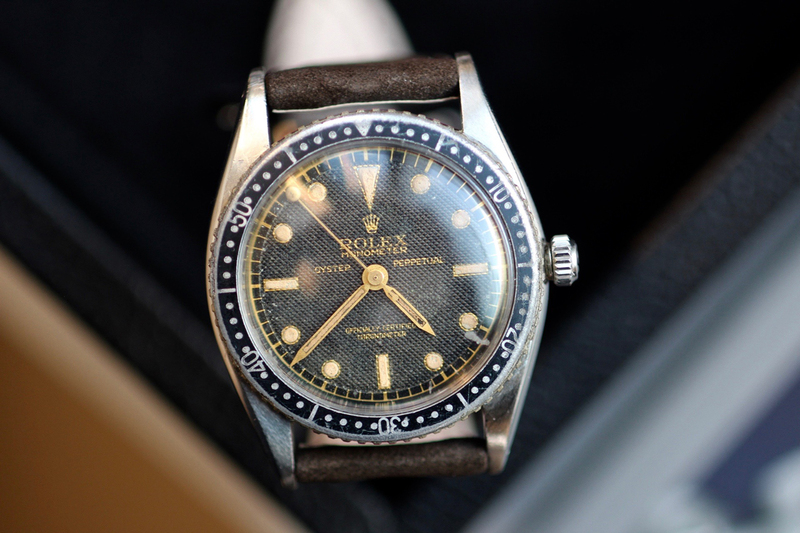 Collecting Rolexes is far from simple, with unique, or merely ultra-rare variations popping up frequently to undermine established values. This may look like an anorexic “James Bond” Submariner, but the dial says “Monometer” and it dates from 1953, making it one of the earliest sport Rolexes. It is a kissing cousin to the Turn-O-Graph, it features a narrow bezel graduated to “60” and possesses enough inherent mystery to ensure that the estimate will be smashed. 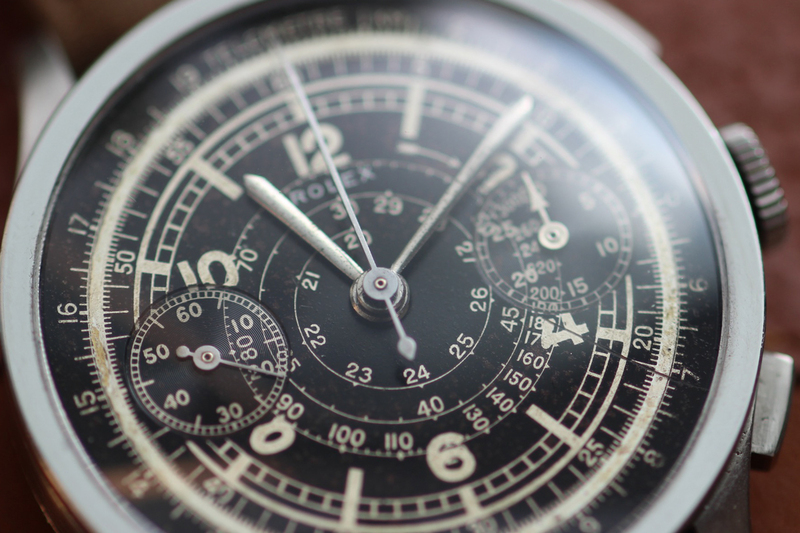 Rolex’s non-Cosmograph chronographs have a cult of their own, the watches invariably seeming more dressy than “tool watches” and certainly harder to find. This handsome beast from 1940 – note the model number – contains the legendary Valjoux 22 movement in a 36mm stainless steel case, and due to the dimensions, is considered “oversized” in vintage terms. 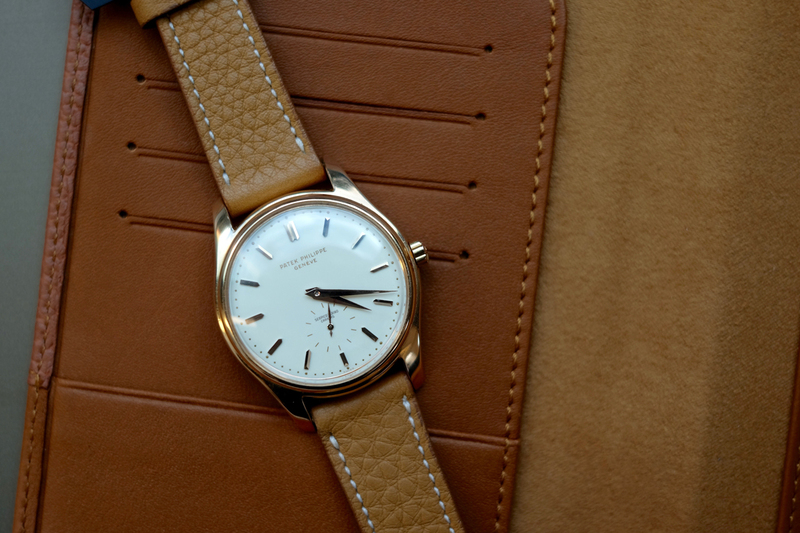 That makes it all the more wearable, and, along with its super-smart “powder pink” dial, is one for the rake in you. This one ruined my day: any who adore the cleanest, least-fussy Calatravas cannot fail to be seduced by this stealthy beauty from 1942. 35.5mm diameter in a stainless steel case, it earns its name by virtue of a look that resembles old-style, rotary telephone dials: white gold Arabic numerals against a gloss black surface, leaf hands and those oversized dimensions – this watch could go into production today, as is. 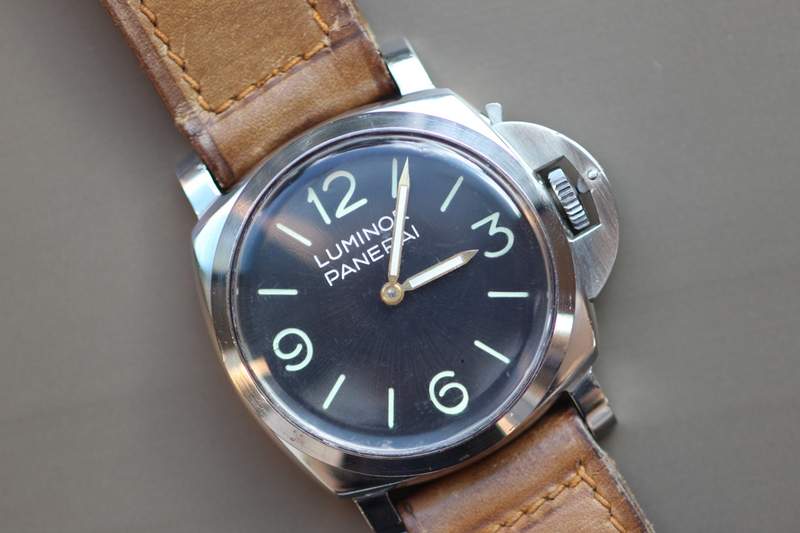 Panerai has been quiet of late in the auction kingdom, probably because the prices have gone skyward, and most of the A-list collectors seem to have what they need. This classic circa-1955 example of the Luminor, a 50mm monster with Rolex Calibre 618 movement, however – by virtue of its slightly larger case size, superlative original condition and original documentation – justifies what will undoubtedly be a six-figure winning bid. At first glance, just a mint 1957 Calatrava, ho-hum. But this is in sublime condition, is powered by the wonderful Cal. 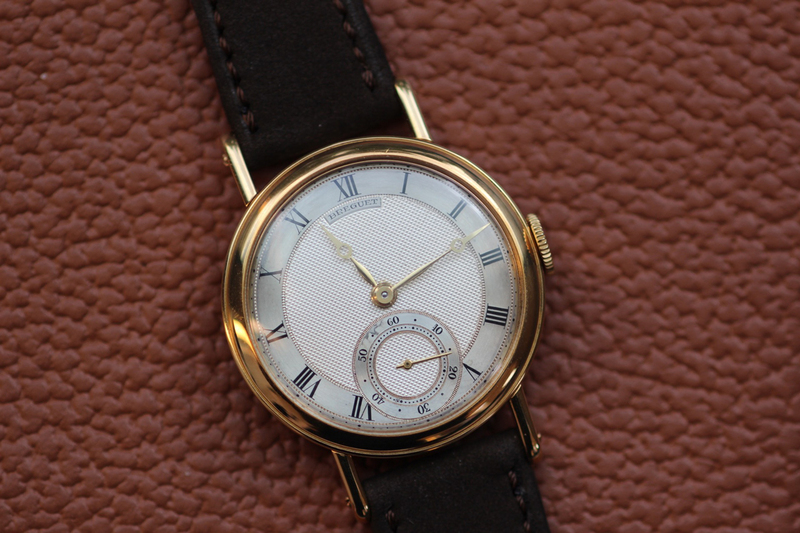 12’’’600 automatic movement and comes in a pink gold case 35.5mm in diameter. This, of course, renders it more suitable to wrists accustomed to large watches, while the other details will ensure that fellow Patek-o-philes take note: not only is the dial enamel, it bears the retailer’s name, Serpico y Laino. And while that has yet to acquire the cachet of “Tiffany” on the dial, it’s proof of impressive provenance. This comes, too, with a pink gold Gay Frères bracelet. 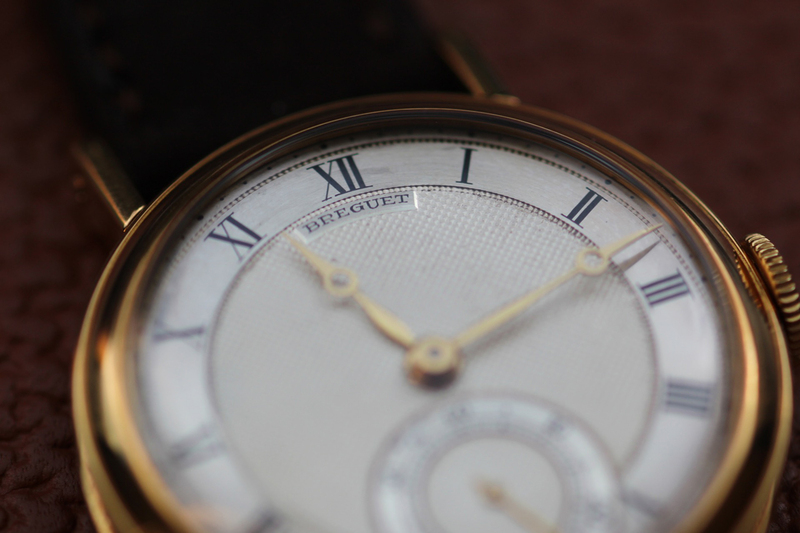 Prior to its purchase by the Swatch Group in the 1990s, Breguet was relatively quiet during the 20th century. Still, some treasures bearing one of horology’s greatest names did emerge, including this delightful time-only, small-seconds watch with Peseux 260 calibre inside. Its looks are immediately recognisable, as they inform modern Breguets: the eponymous hands, guilloché dial, coin-edge case. And, at 35mm, it’s “ready to wear” by the modern enthusiast. If, like this writer, you’ve succumbed to the lure of Valjoux’s 22/72/88 chronograph movements, this ’88-equipped stunner will rock your world. 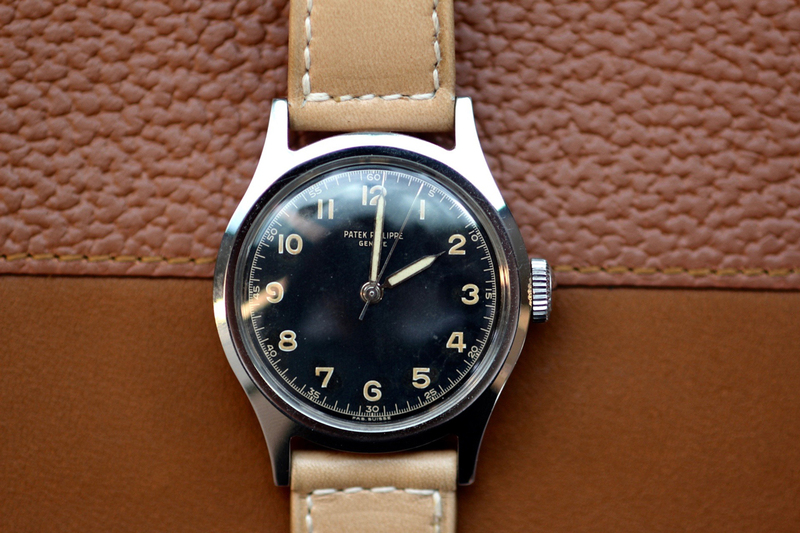 Made in 1948, it features a dial so beautiful that calling it a “tool” watch is almost an insult. 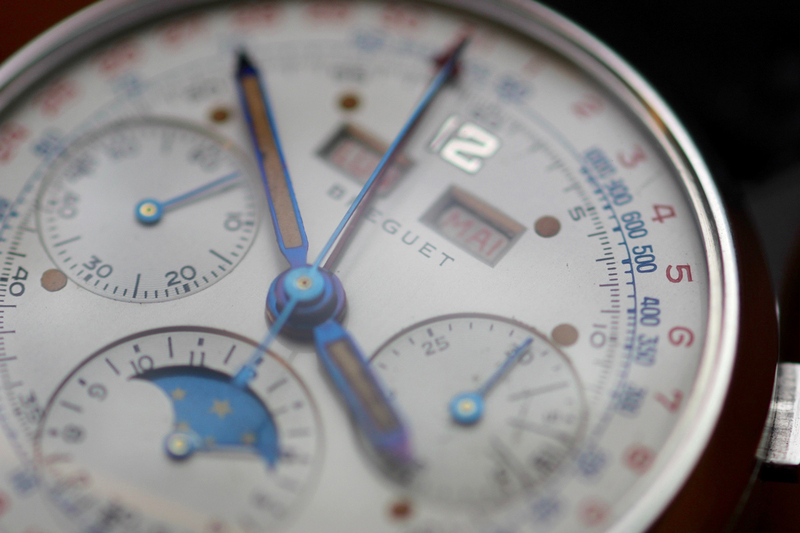 And yet that’s what it is, with red and blue indications encircling the dial for date and tachymeter, triple date and moonphase. Think of it as a “Jean-Claude Killy”, but incognito. Where do they find this stuff? 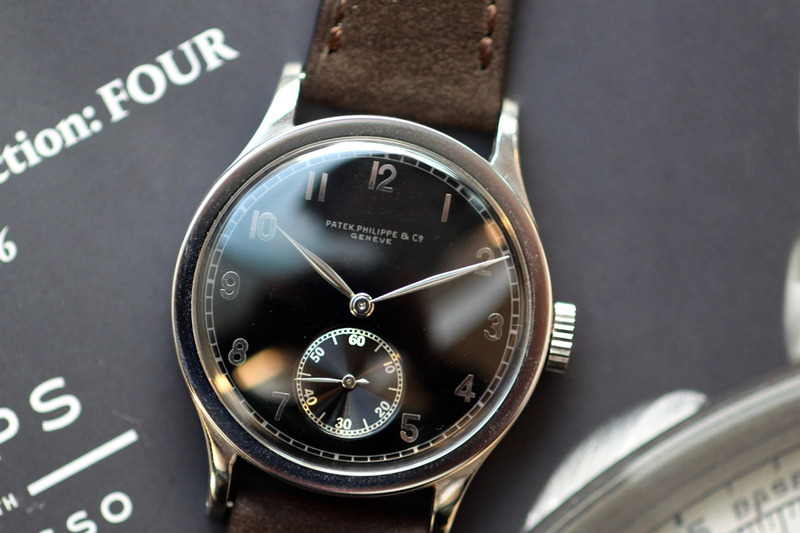 Another drop-dead gorgeous, absolutely minimalist Patek of a Calatrava-ish mien, this military-styled sweep-second timepiece dates from 1947, and looks like what Patek would have made if asked to produce a NATO or RAF Mk 11. 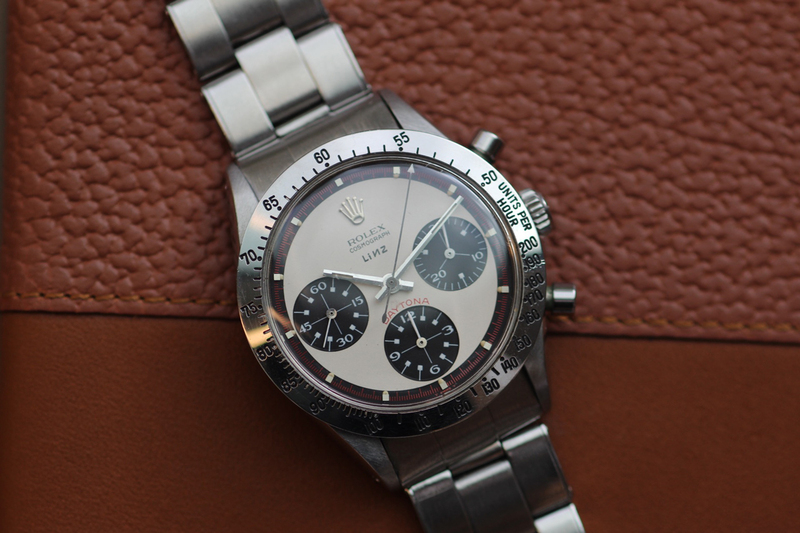 Size is 35mm, case is stainless steel – by now you know that this will inspire bids beyond belief. One of only 17 Ref. 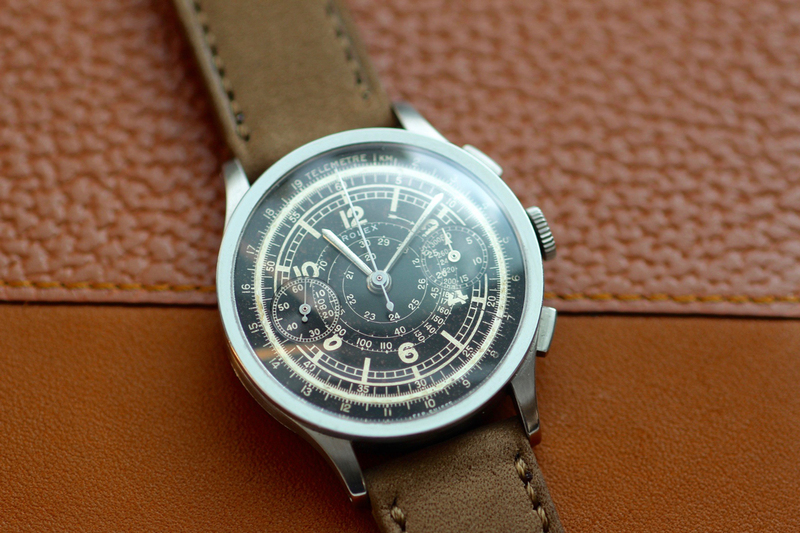 565s in steel, it’s the only one with black dial … yes, made for Patek’s night watchman. Oh, mama! Is this to die for!!! 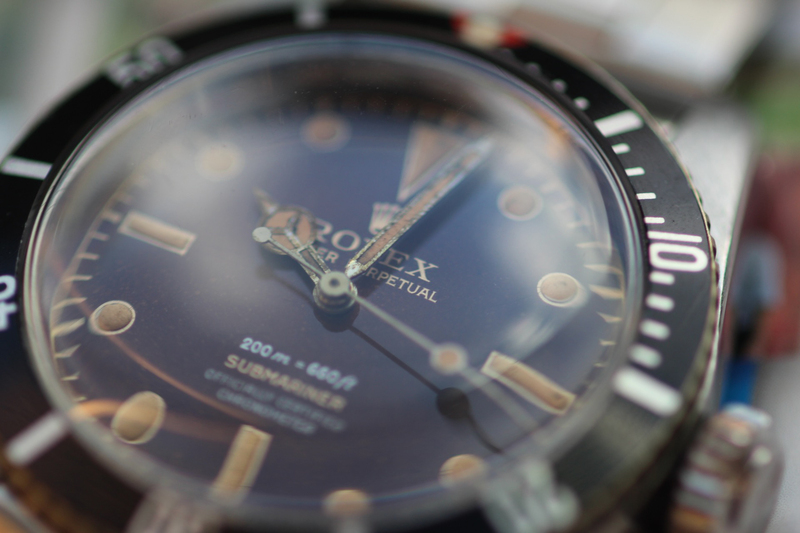 Or how a tiny line of print can double a watch’s value. 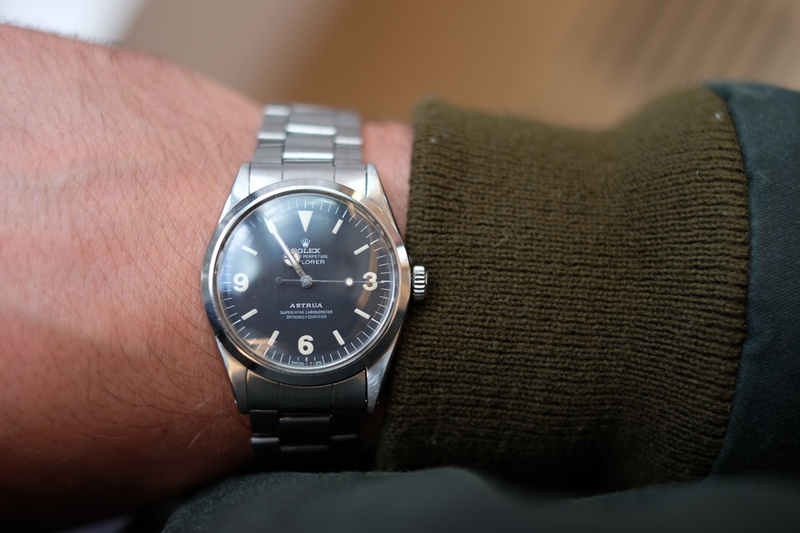 On the surface, this is a 1969 Explorer in fine condition, complete with papers including its chronometer certificate and invoice – a no-brainer £4-£5k purchase. But it came from a retailer – like Serpico y Laino, Tiffany and one or two others – important enough to have its name on the dial. 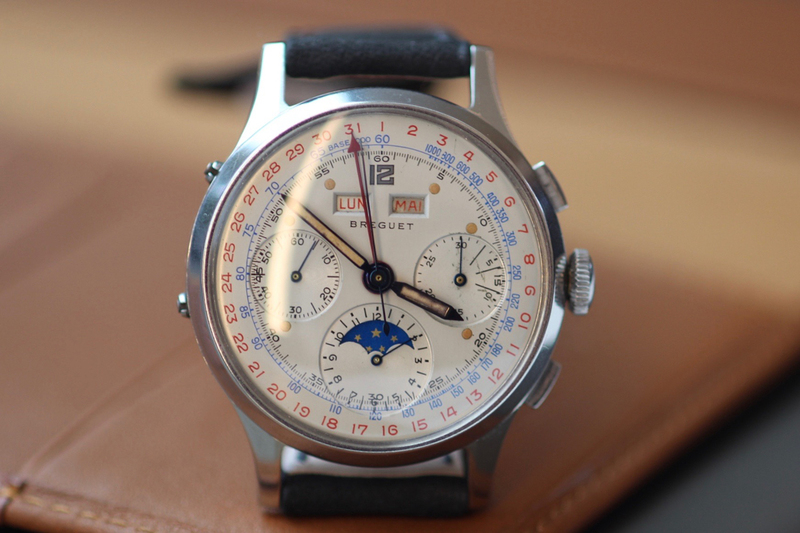 Astrua – with a name so cool it sounds like a watch model – is a Turin-based retailer, so Italian bidders might fight for this with added vigour. OK, another Paul Newman, but this one has a special detail that will ensure it causes a frenzy on 13 November. It’s a 1968 panda, in fine original condition, but – as with a couple of others in this sale – it bears a retailer’s name. This time, though, it may be the only example ever of an off-white dialled Paul Newman with the name of “Linz” on the dial, complete with backward “N”. 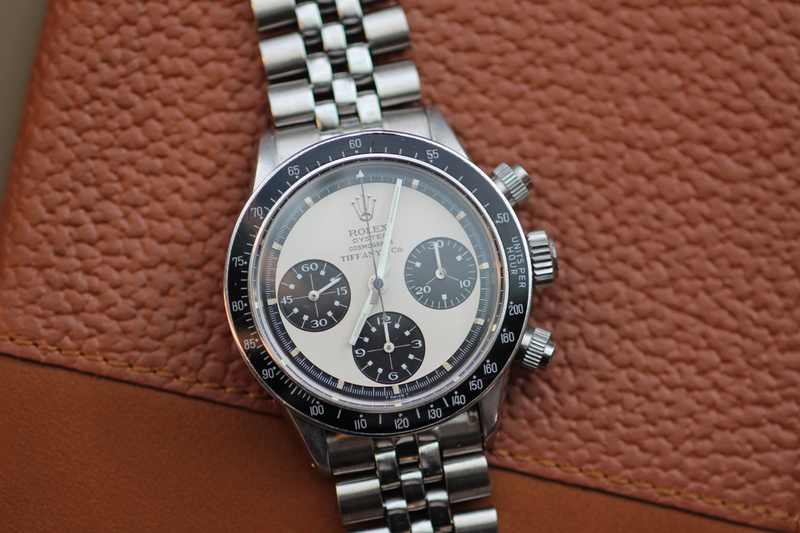 Paul Newman Daytona prices no longer surprise this writer, so the estimate may be conservative. What a stunner! This chronograph from 1946 is powered by a Valjoux 22 – instant credibility – and boasts the kind of dial that attracts those who consider Breitling Navitimers the norm for information displays. Although a two-subdial design, it contains enough concentric scales to keep your eyes riveted to it for hours. Size is 35.2mm, so it’s wearable, and the condition of the silver-print-on-black-dial is so crisp that it’s hard to think of it as a septuagenarian. 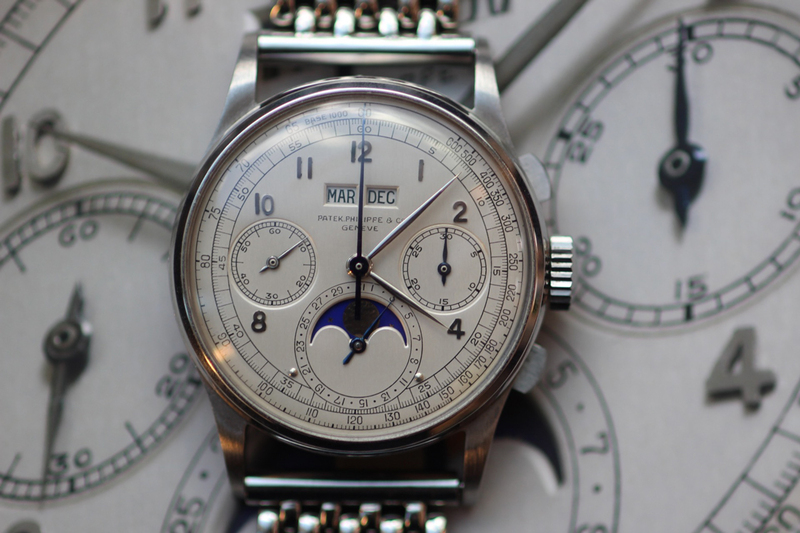 Another to ruin my day, my all-time No1 bucket-list fantasy: a Patek Philippe Ref. 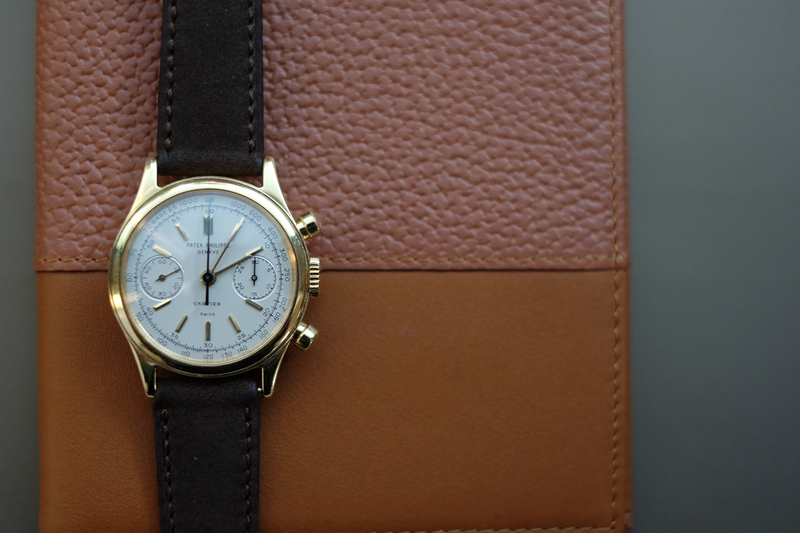 1463 two-button/two-counter chronograph in yellow gold, and in pristine condition. This is a later example, from 1968, one of the last two made before it was discontinued. But this isn’t just any 1463: it says “Cartier” on the dial. Sourced from the original owner, it’s one of the nicest ever to reach auction. The estimate? I wouldn’t be surprised if it was tripled.